An investigation into the death of a female Gilets Jaunes protester in the Savoie on Saturday (November 17) has shown that the driver responsible “voluntarily restarted” her car ahead of the fatal incident. Chantal Mazet, a 63-year-old protester, was killed in Pont-de-Beauvoisin (Savoie), after she was run over by a female driver who was taking her child to a medical appointment. Initial reports said that the driver had accelerated into protesters in panic, after they reportedly began tapping the roof of her car. 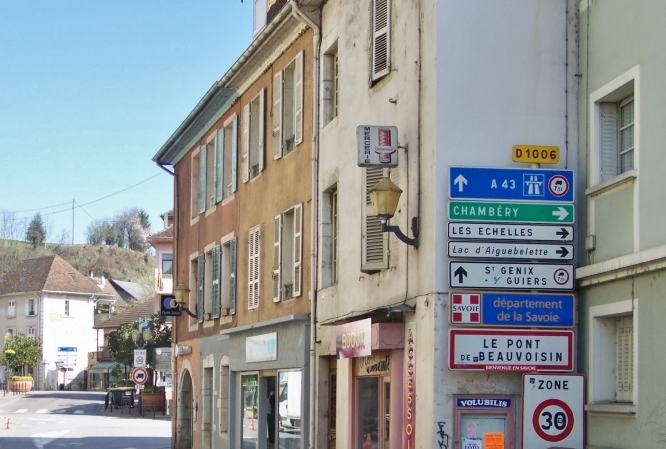 An investigation is now underway into “intentional violence with a weapon [the car], resulting in death without intention of causing death”, according to the Chambéry prosecutor’s office. The key issue is to determine if the driver “intentionally” tried to cause injury. This specific question has not yet been agreed. CCTV images of the incident appear to show the driver in a state of panic, and starting her 4x4 car in the middle of a group of Gilets Jaunes protesters. Witnesses from the time of the incident have already been called to give statements, as has an expert in the model of car driven by the woman at the time. The driver is now set to undergo psychological evaluation, with the results to be heard by investigators within a month. Should the driver be found guilty of “intention to injure”, this would be a criminal offence, judged at the departmental criminal court, la Cour d’Assises. Intent to injure in this case risks punishment of up to 15 years in prison, compared to the six months of prison that would be more likely in the event her actions are judged as involuntary manslaughter.